Tower Media Group isn't just about printing t-shirts Arizona anymore! 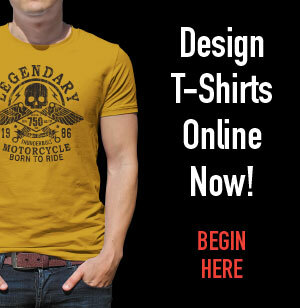 Our new apparel website allows you to create your own t-shirt designs online in a snap!. There's a bonus with using our apparel site though… If you aren't comfortable creating your own design, just pick up the phone and give one of our designers a call for help. We can create a custom t-shirt design for you or your organization that everyone will be proud to wear! That's right, if you already have a t-shirt design in mind... we can take your concept and create vector artwork that is print-ready and bring your shirt ideas to life. We have worked with many different schools, booster clubs, event sponsors and sports teams, and have created some amazing designs over the years. If you're looking for a printing company to get YOUR idea or logo on your team shirt, we've got you covered. NEW FROM TOWER MEDIA... We can set-up a t-shirt fundraiser website for your school or organization absolutely FREE! You just spread the word and the website will take and fulfill orders. You just sit back and collect the money. Call 480-835-0003 to find out more. Visit our sample fundraiser site by clicking here! Whether your club or team needs a fresh look on a new style of shirt, or keep the original look on a classic T-shirt, we can create your custom shirts to fit your organization's needs. You can also use our apparel printing website to order team shirts or jerseys with names and numbers on them. It's so easy, you won't believe it!